Home CRM 2016 The Force is Strong with this Version: Top New Features in Microsoft Dynamics CRM 2016 Online 2 people are discussing this now. At a high level, Microsoft Dynamics CRM 2016 focuses on productivity tools; predictive analytics with machine learning intelligence; offline capability and simplified data collection with field control types for mobile users; and enhancements to the Service user experience. Additionally, CRM 2016 on-premises environments get access to many of the great CRM 2015 Online Update 1 features that were released earlier this year. With so many awesome and amazing features in CRM 2016 we could talk about it for days, but we narrowed it down to a few specific enhancements to the online user experience in today’s blog. We know you are dying to hear more, so let’s begin! CRM 2016 introduces a role-based experience for customer service agents. Users can view their current workload and interact with records through a real-time dashboard. Cases can now be updated directly from the dashboard by selecting the case and the appropriate action. Case management is simplified and better than ever. Users can now save case details directly on a case record and apply routing rules all in one action by clicking the Save & Route button. The new knowledge base article designer now features an enhanced WYSIWYG editor and allows for embedding videos and images. Articles can easily be scheduled to publish or expire for a future date. Knowledge can be enabled on any entity and over 80 languages are now supported. Articles can be shared with external users or analyzed internally to better understand how information is being used. 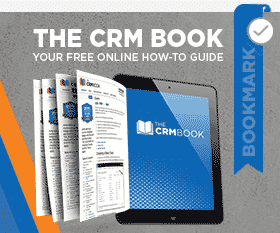 You can now standardize common CRM data-generated documents. Word templates can be initiated from any form or automated through a workflow. Extract data from CRM into a standardized word document with ease and create custom templates or leverage existing word templates from Microsoft! New Excel templates let you use a Microsoft Dynamics provided template or create your own reusable templates to quickly analyze data your way. CRM 2016 allows users to work with data from a downloaded template or from Excel Online. With the CRM Mobile Application, you can also export to Excel directly from a tablet or mobile device. Pretty Excel-lent, huh? Unique to each user, Delve uses analytics to identify top trending documents in CRM relevant to the user. Delve looks for connections as to what the user is working on, common groups or teams, and identifies documents that may be relevant such as a newly saved presentation or proposal. Users can view trending documents relevant to them from a dashboard or Office 365. *Note: data permissions still apply, meaning that if the user does not have permission to view the information it will not be presented. Display any Office document file from OneDrive for Business, SharePoint, or Office 365 groups directly in CRM. Documents will remain private until the user elects to share. With the CRM Mobile App, these same documents can be viewed or modified directly from a tablet or mobile device. Track emails, add Contacts from within an email, or create new records to track emails against all with the CRM App for Outlook. In addition to Internet Explorer and Chrome, CRM 2016 is expanded to include support for Firefox, Safari for Mac, and Outlook for Mac. One especially cool new feature is that you can track an email while composing it. In future blogs we will focus on Mobile enhancements and features specific to system administrators and customizers. However, we just had to leave you with this amazing new feature. Have you ever wanted to update a field from a mobile device leveraging touch capability? Let’s say you are an Account Manager and while having a conversation with a customer you want to update the Estimated Revenue field. By using a slider control, you can quickly update this field by simply moving the slider. Pretty awesome! That’s all for the blog today, but make sure you check in with us daily, as we will be bringing you blogs, events, trainings, and webinars all focused on Dynamics CRM 2016. It’s going to be a busy year. You won’t want to miss a thing! by Joe D365	December 15, 2015 2 people are discussing this now. August 3, 2018 Joe D365	CRM 2016 Be the first to comment.